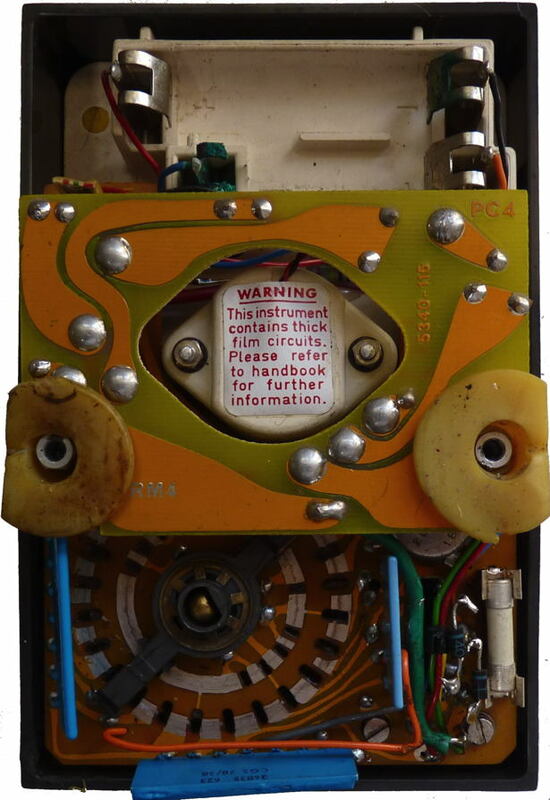 This is an updated more versatile and better protected version of the earlier model 71 and model 72 meters.The basic construction and circuitry is much the same but many neons have been included to protect the meter movement.The meter movement is protected by a number of small neon tubes and a 3.15A fuse which has a neon and resistor connected across it to indicate failure. 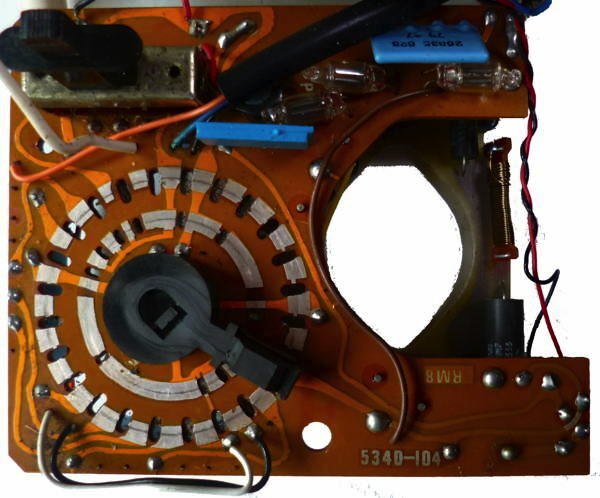 The versatile moulding for the meter and batteries has holes for additional sockets so that it can be used for the other meters in the range. 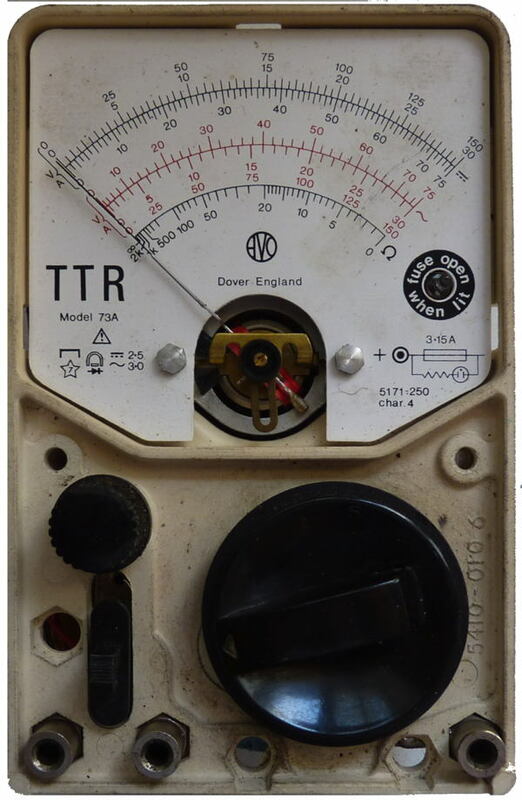 I was given this meter which formed part of a collection of many instruments collected by Bob Evans by his daughter Alice Kirby. As can be seen the negative battery connector had corroded and the diodes had been replaced. 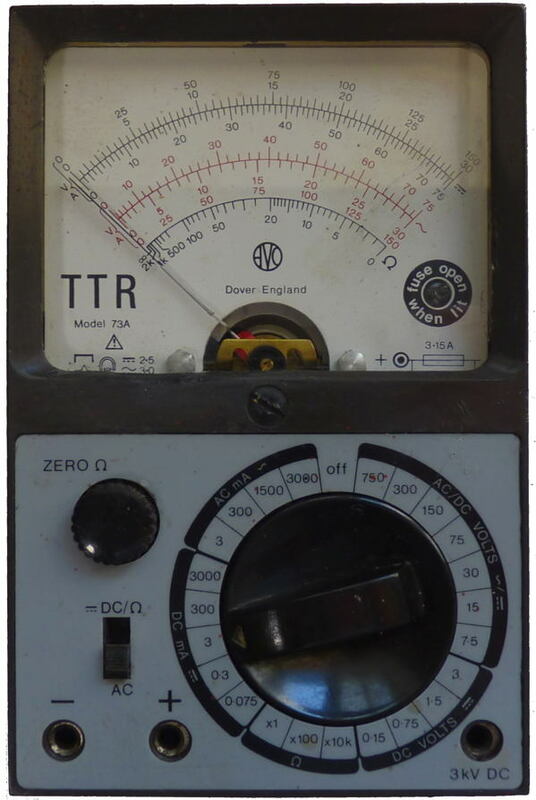 I found that the instrument worked correctly on the DC volts and current ranged but on AC the readings were about 5/6 of what they should have been. 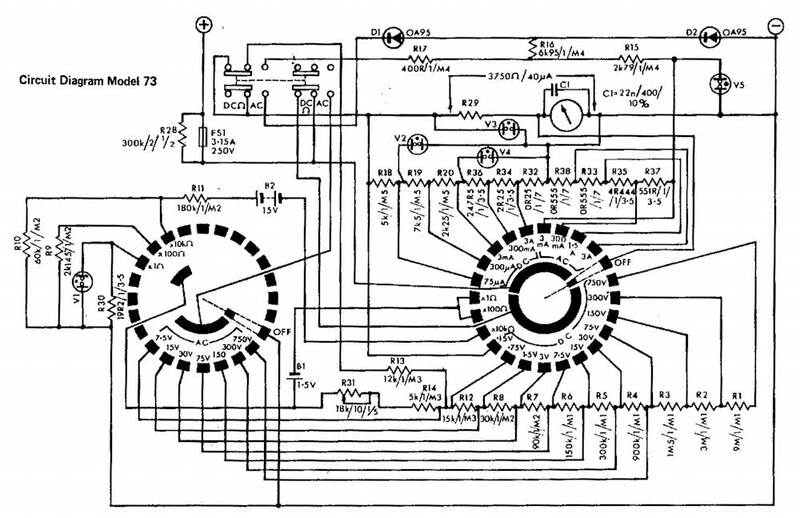 I also found that the 3Amp AC shunt was open circuit and that there was a dry joint on one of the connections to resistor module M1. 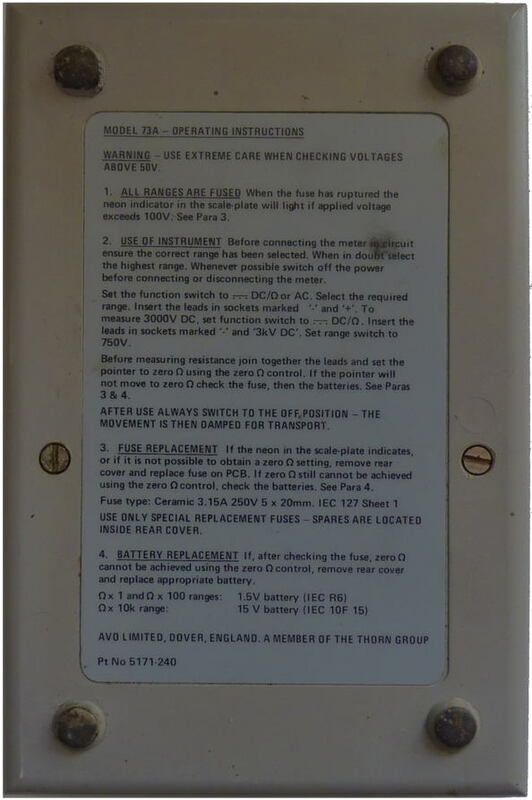 The open circuit shunt was replaced with a short piece of resistance wire and I checked through all the switch positions and sections of the resistance modules, all seemed OK. Only when I removed one of the diodes did I discover that it was labelled IN4040, a silicon device. 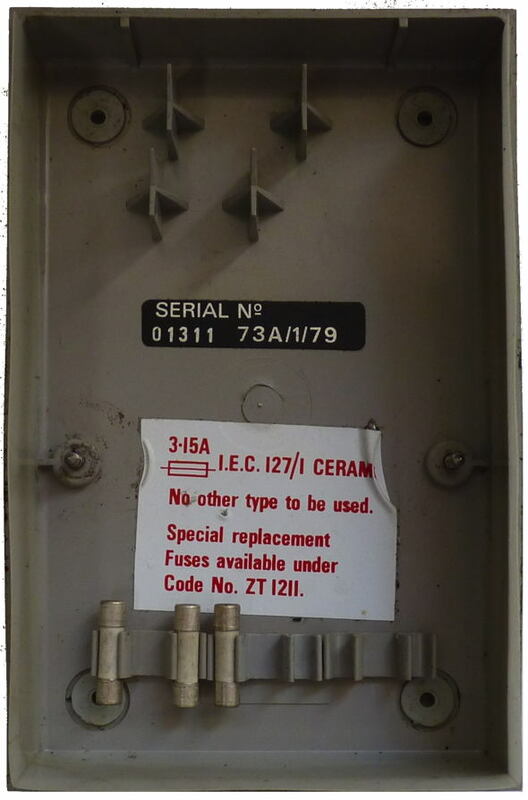 When I replaced them both with a couple of 0A81s that were the closest to the specified 0A95s the readings on the AC ranges proved to be satisfactory. 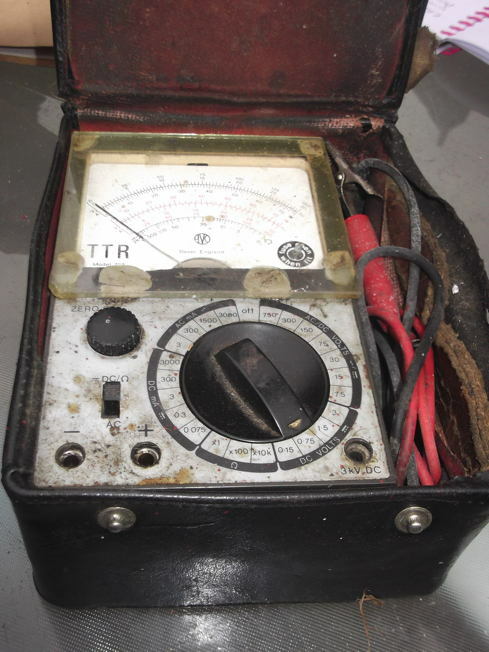 This what the meter looked like when I received it, I discarded the case and the glass stuck to the front and repaired the broken Bakelite with two part epoxy mixed with black filler before cutting and fitting a new glass inside the meter. 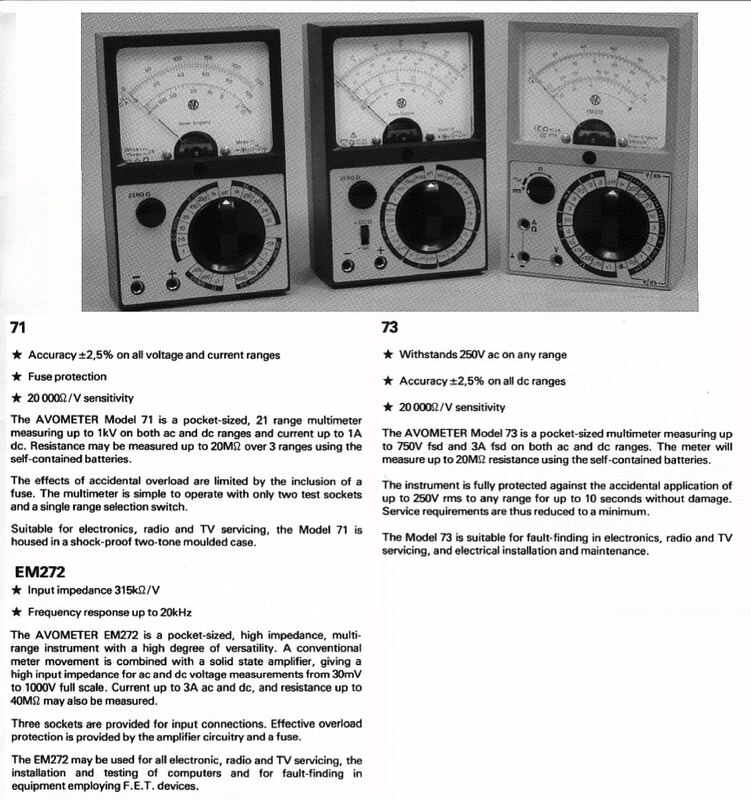 AVO produced the "70 series" range of analogue pocket meters with 2000 Ohms/Volt sensitivity and 3 inch scale lengths at the beginning of the 1970's. The following is from a 1972/3 trade catalogue.